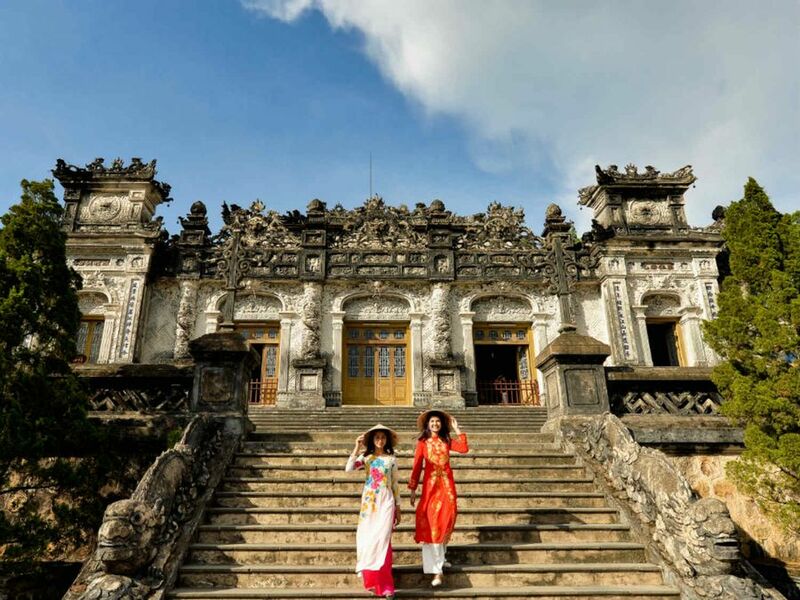 Are you eager to walk through majestic temples of thousands of years old, or discover the charm of a World Heritage site? Do you love watching the glorious sunrise over a spectacular bay? 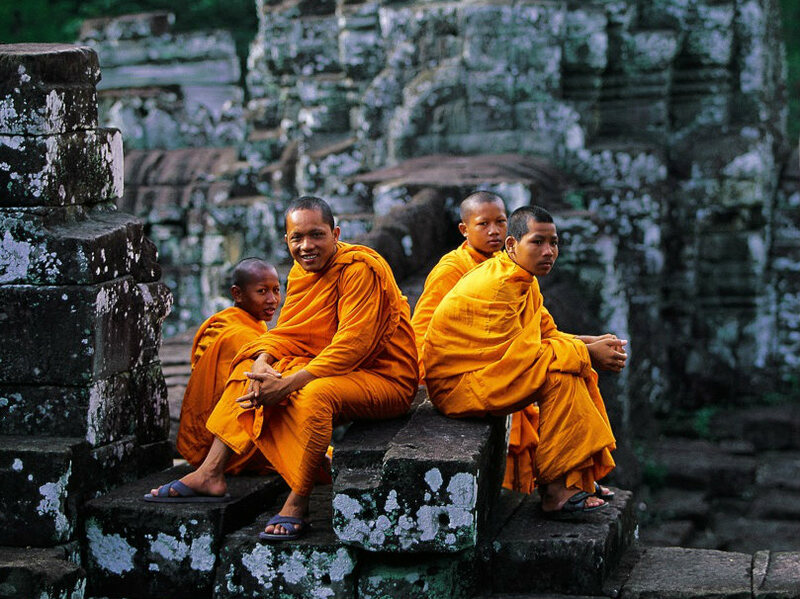 If you say “yes” to all, join us and explore the heart and soul of Indochina- Vietnam and Cambodia in the 14-day tour. 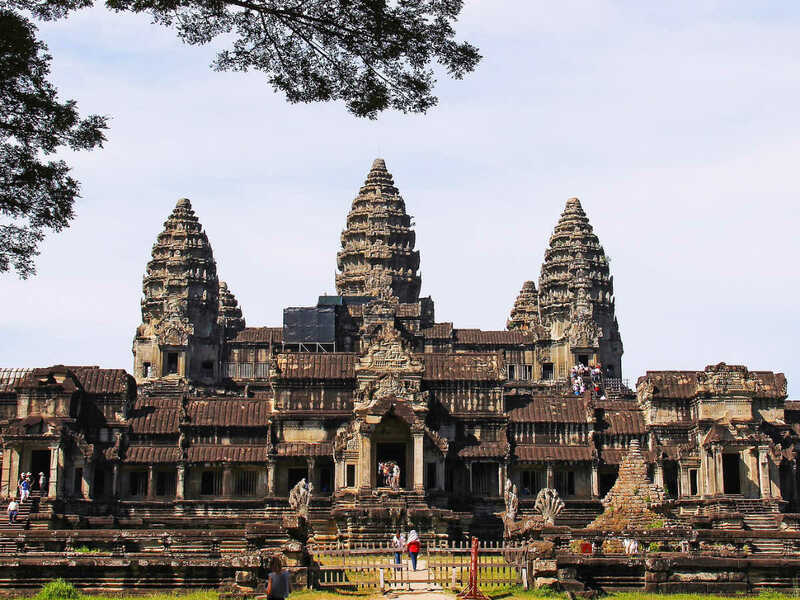 This journey highlights the most iconic destinations that combine the beauty of culture and heritage of Angkor Complex in Cambodia with the marvelous landscapes in Vietnam like Ha Long bay– top 7 natural wonders of the world, Hue Citadel, Hoi An ancient town, the picturesque Mekong Delta and exciting Saigon. Upon arrival, you will be picked up at the airport by a local English-speaking guide and transferred to the city center for hotel check-in. For the rest of the day, take a rest after the long flight. 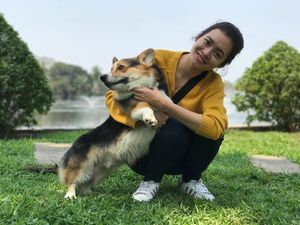 Ho Chi Minh Mausoleum is the highlight of the morning with traditional stilt house and One-Pillar Pagoda which was built in the 11th century. 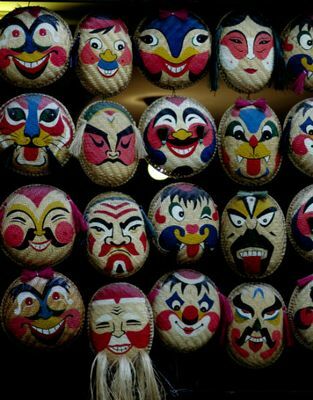 After that, explore the Hoa Lo Prison Memorial, ironically nicknamed the ‘Hanoi Hilton’ by US prisoners of war (POWs) during the American War before arriving at the 1000-year-old Temple of Literature- the first university of Vietnam. 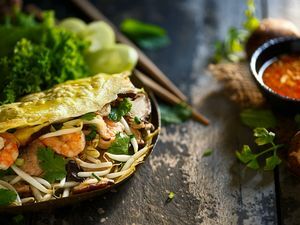 Then enjoy a night out into Vietnamese Culinary world with our guide. Transfer to Ha Long, you will board the La Regina Legend Cruise - a 5-star boat for an overnight with the luxurious service. 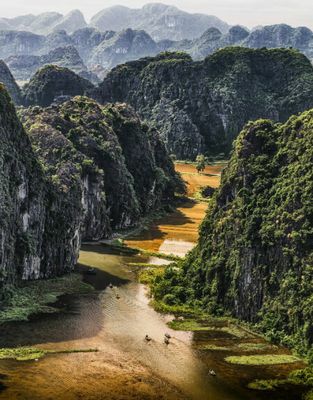 Cruise on Halong Bay - one of the most beautiful UNESCO Heritage Sites with more than 3,000 islands of towering limestone dotting the bay and Gulf of Tonkin and enjoy an excellent menu of fresh seafood. 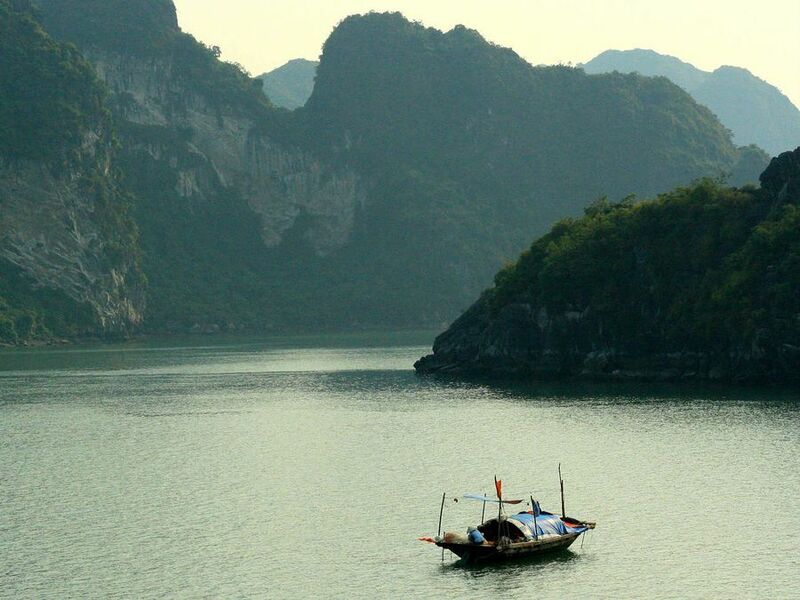 After spectacular dawn over the bay and breakfast onboard, you will continue your cruise trip to explore the limestone formations of Ha Long Bay. 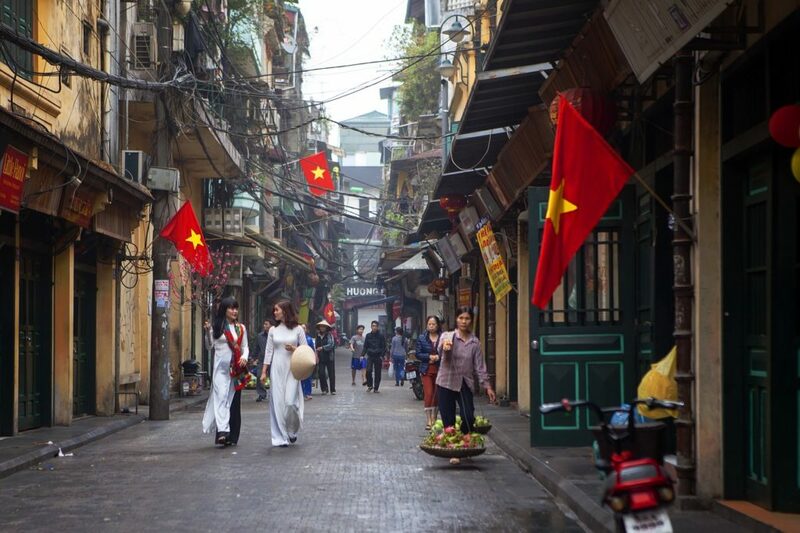 Enjoy a brunch during your returning back to the harbor to head to Hanoi for your flight to Hue. 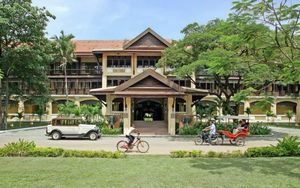 Upon arrival, you will be picked up by a local driver to the hotel in Hue. 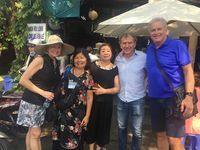 Get on a cyclo (three-wheel bicycle) and go through a winding path along the Perfume River to visit the Thien Mu pagoda, passing by a garden house and enjoy lunch at Hue Inn side out. 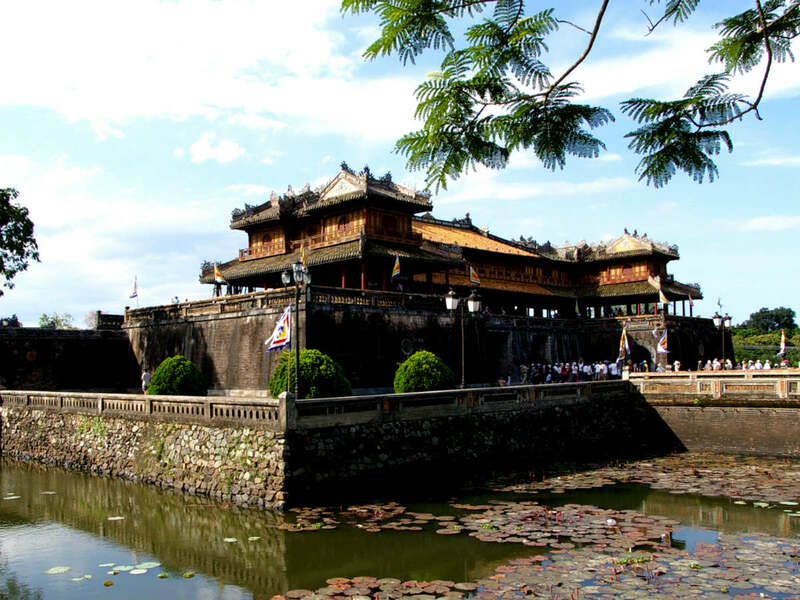 Then, visit the Tomb of Minh Mang and Tu Hieu pagoda nearby. In the evening, try Hue specialties for dinner. 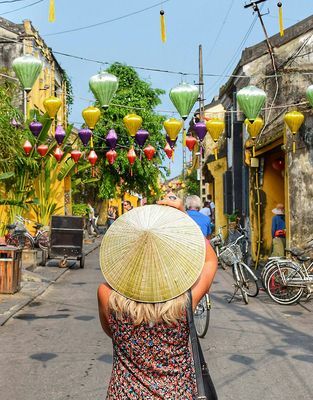 Check out and meet our guide to leave for Hoi An. Along the way, you will reach the top of Hai Van Pass- one of the most beautiful coastal mountain roads in the world and enjoy a cup of coffee at the top of the hill. 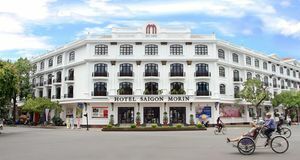 Check in your hotel in Hoi An and enjoy everything there. Soak in the tranquility of Tra Que herb village on the bicycle ride. Learn to pick and plant vegetables like local farmers. Lunch with the village specialties like Tam Huu (small skewers of pork and prawns), various kinds of shrimps, pork and herbs, as well as six other dishes of the region. 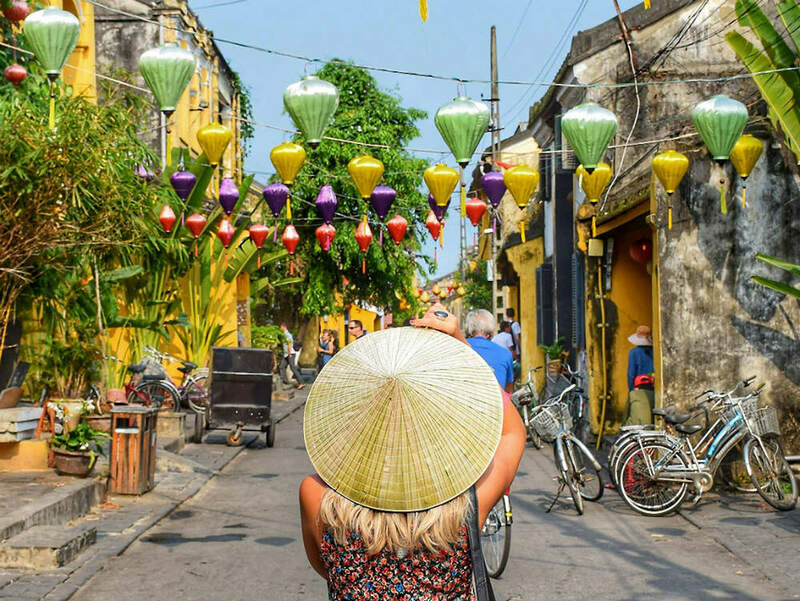 Later on, stroll around Hoi An old town- a UNESCO World Heritage Site with cross-cultural architectures, then have a sunset boat trip along Thu Bon river. Today, you are free at your leisure in the morning. 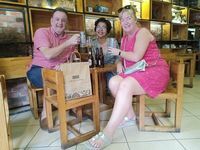 After checking out at noon, you will meet your driver and be transferred to Da Nang airport for your flight to Siem Reap. 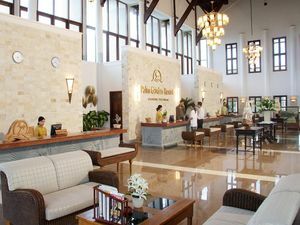 Upon your arrival, your guide and driver will take you to the hotel for check-in. 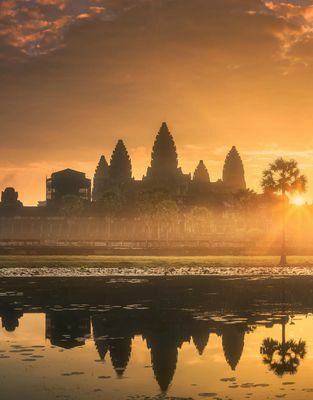 Your day starts with a visit to Angkor Wat, a world heritage site with soaring towers and extraordinary temples that date back thousands of years ago. 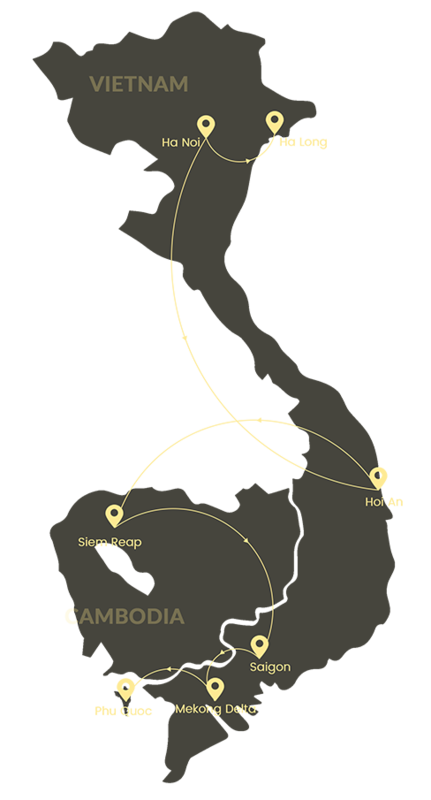 In the afternoon, leave for Banteay Srei where a most impressive jewel of Khmer art exists. 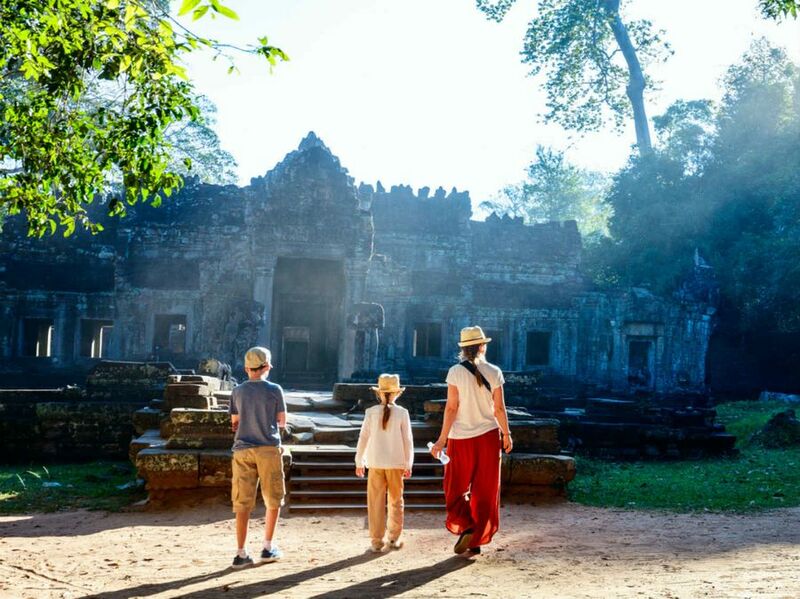 On the way back, visit the ancient Ta Prohm Monastery where immense branches have taken root in the stones. In the morning, leave for Kompong Khleang, a floating village famous for its stilt house on the water, just 40 kilometers from Siem Reap. 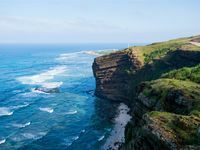 Seasons and water level change offer the diversity of sceneries here. Travel by boat over the canals to a large lake where people live on the water, their houses moving with the rhythm of the seasons. 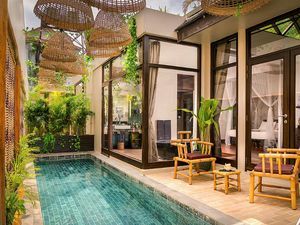 After lunch, you will return to Siem Reap. Free in the afternoon to discover the city on your own. 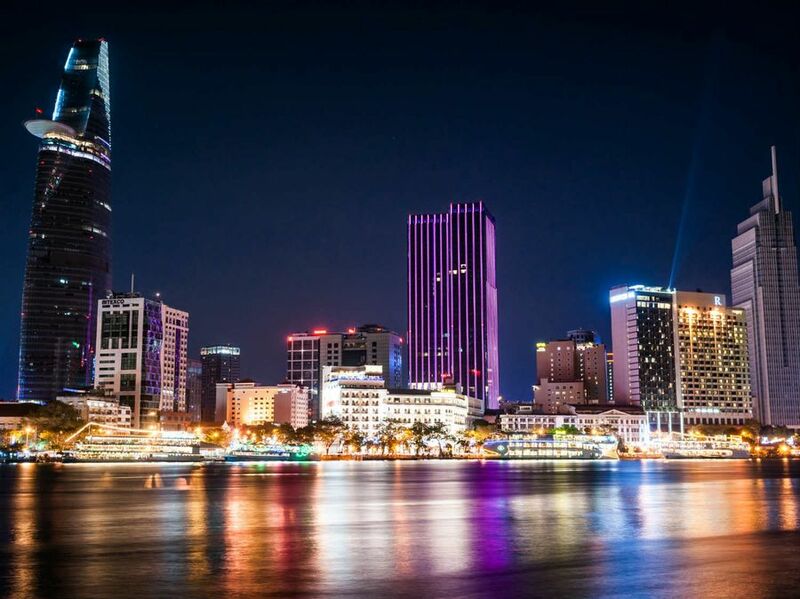 After checking out, you will meet your driver and be transferred to the airport for your flight to Ho Chi Minh city. 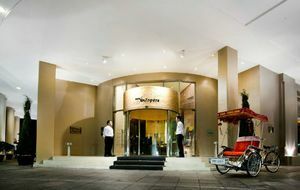 Upon your arrival, your driver and local guide will take you to the hotel for check-in. The rest of the day is free at your leisure. 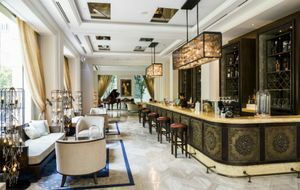 You will set off early in the morning for a discovery tour on a Vespa around District 1, District 3 and District 7 to see the city from the moment it wakes up until the rush hour takes hold with local breakfast and cafe. Stop on the way for a local breakfast - Saigon style pho with its typical soup but also very different from that of Hanoi, followed by a delicious cup of coffee. 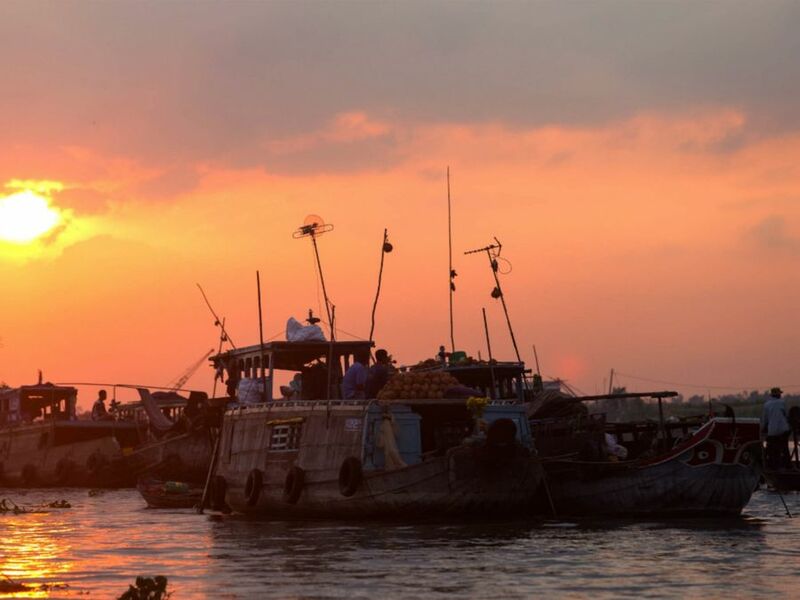 In the late morning, embark on a speedboat to see the life along the banks of Saigon River as your boat gracefully slips to Cu Chi tunnels. 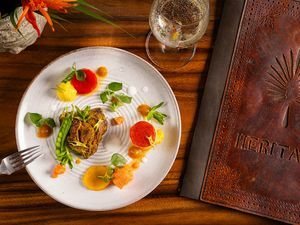 Upon your arrival, explore the incredible maze dug by Viet Minh in Vietnam War and enjoy a traditional Vietnamese lunch of local specialties like lemongrass chicken and caramelized clay pot pork. You will be driven to Ben Tre. 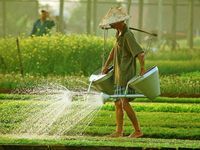 Delve into the local life of Mekong Delta there. 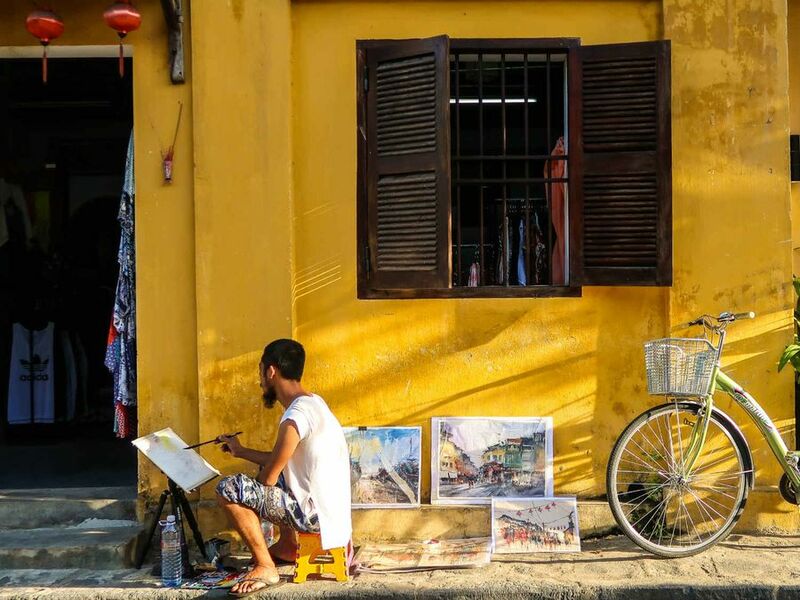 After Phong Nam brick kiln, get on the boat to cruise along Chet Say river, through tiny canals and stop along the way to discover different local workshops. 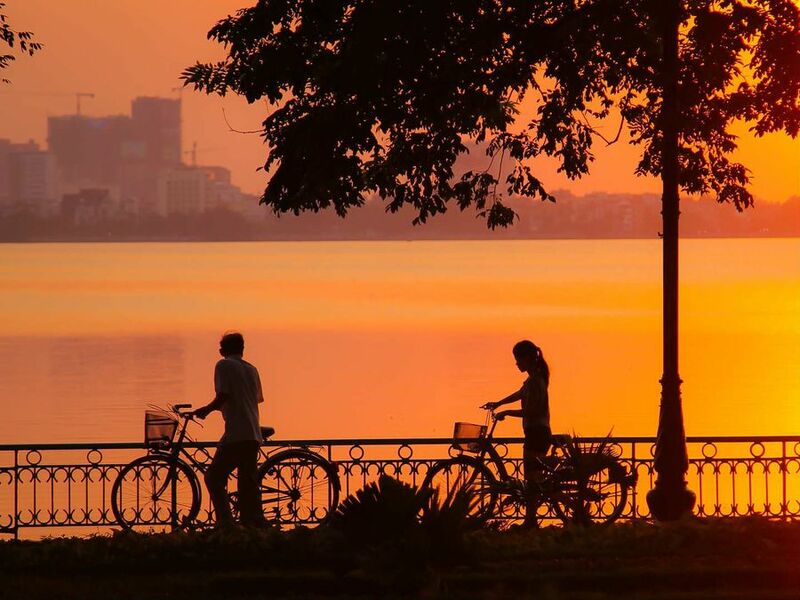 Try the activities yourself before hopping in a “Xe loi” (motorized rickshaw) or biking to go around the villages. After a delicious lunch, board on a sampan for a narrow canal before being transferred back to Saigon. 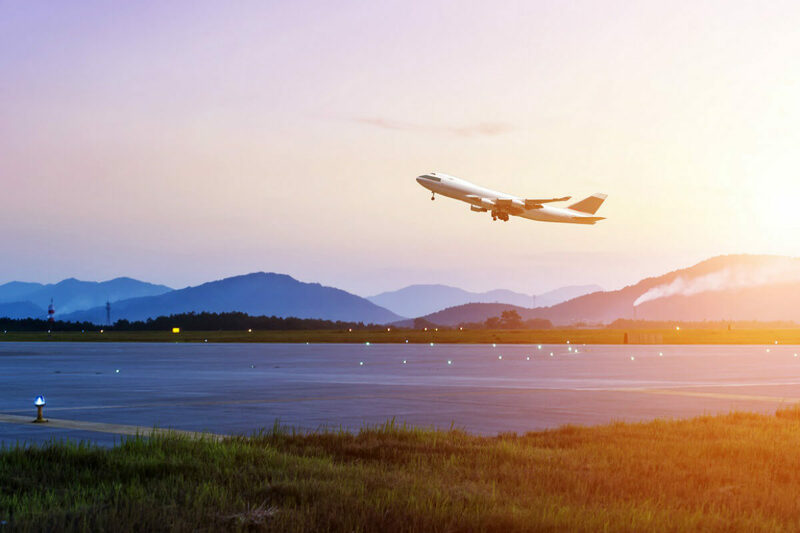 At the right time, you will be transferred with your guide to the airport for your departure flight back home.